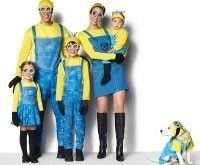 Throwing a Halloween party this year? 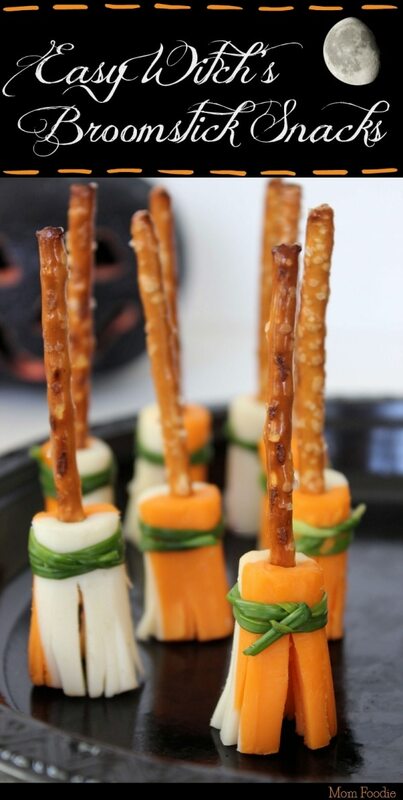 Think beyond bowls of candy and make some festive appetizers to feed a crowd. It’s the one time of year where your food can look gross, and it’s okay! 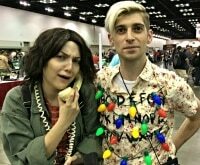 Don’t worry about complicated food displays as long as you’ve got an eerie vibe going on. 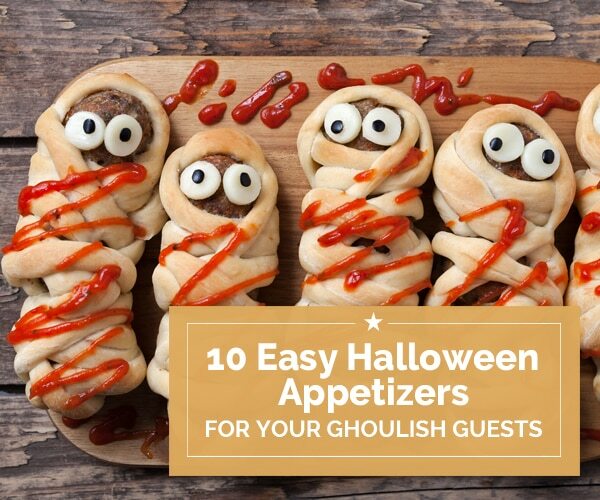 I’ve found 10 easy Halloween appetizers that are just spooky and creepy enough to impress your guests without scaring them away! 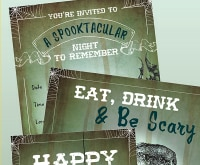 Need even more ideas for your next spooktacular? 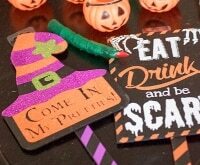 You’re going to love these 7 healthy Halloween treats, plus our guide on how to throw a budget-friendly Halloween party, complete with 6 free Halloween party printables! 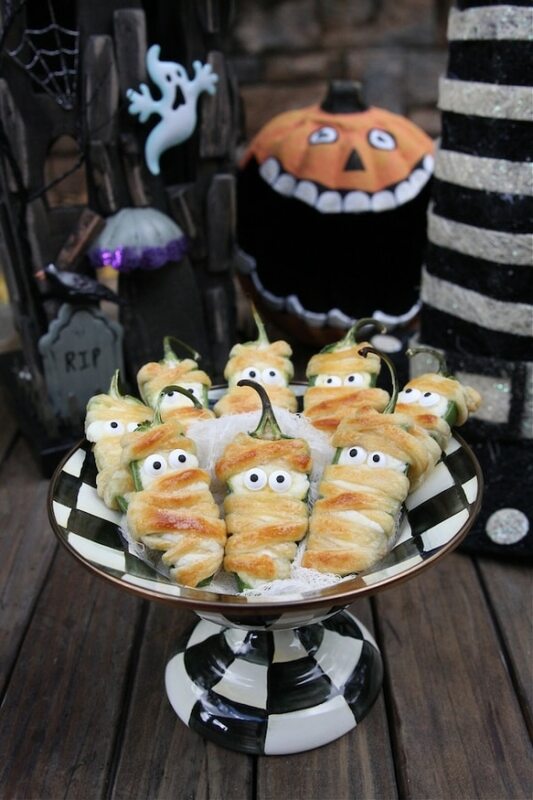 These little Halloween jalapeño popper mummies are so cute and easy to make! 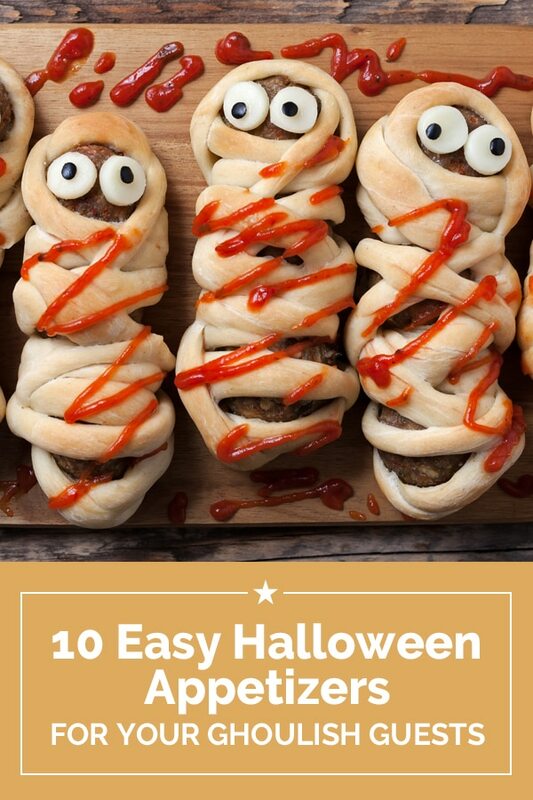 Stuff jalapeño peppers with a cheese mixture, wrap in crescent roll strips, bake up, and pop on some candy eyeballs for a clever Halloween snack. 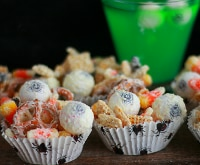 Spider bites make a fun but creepy appetizer or snack for your Halloween party. They’re easy to make and the kiddos can even help put them together. 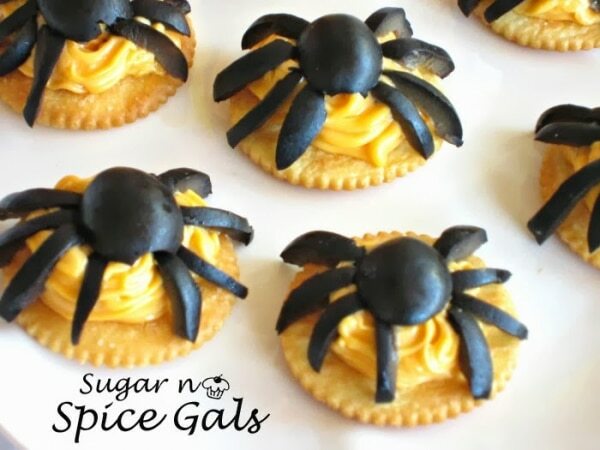 Don’t hesitate to stuff your mouth with these delicious spiders! 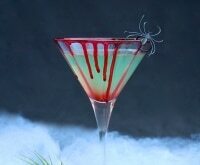 Add a splash of sorcery to your party table with tasty witches’ broomsticks. They’re simple to assemble and make a great non-sugary snack that both kids and adults will love. 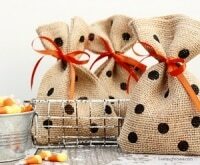 Have you ever wondered just how to keep your kids out of the candy jar after their night of trick-or-treating? 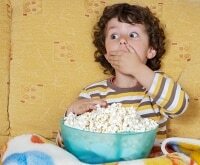 Check out these great tips on how to limit their sugar intake without a tantrum! 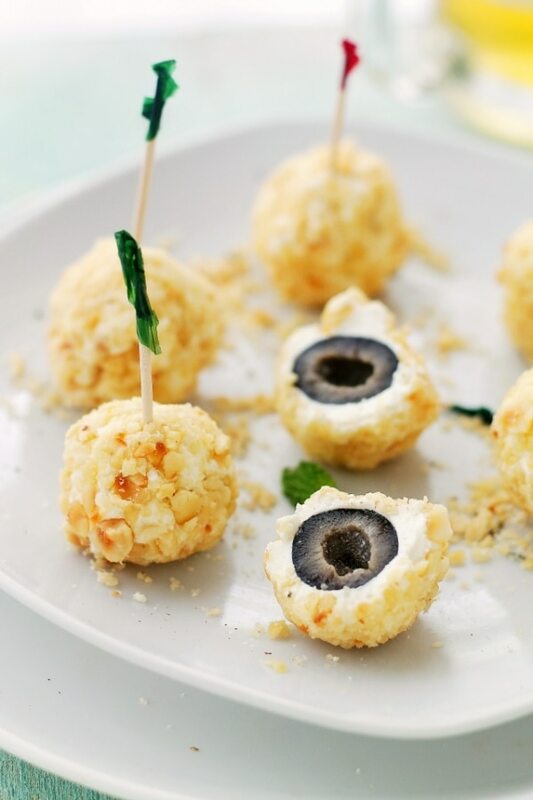 Serve a tray of feta cheese-covered olive eyeballs on Halloween night. 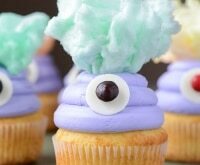 You may not want to share these incredibly tasty apps with the kids! 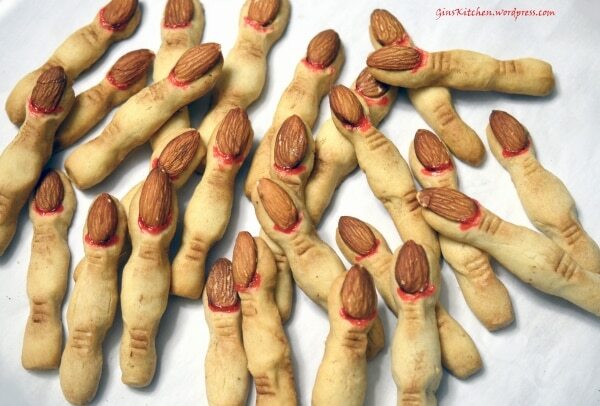 I dare you to bite into one of these witch fingers! 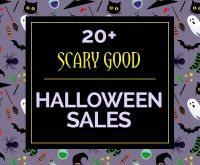 Get past the ick factor and gobble up an incredibly delicious cookie. 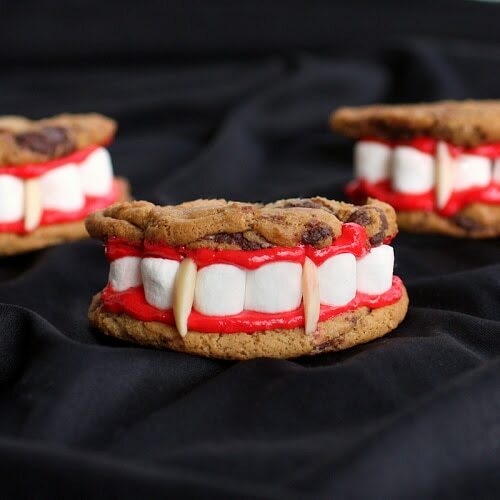 Sink your teeth into a set of Dracula’s dentures. Make a bunch of these tasty treats and watch them disappear. 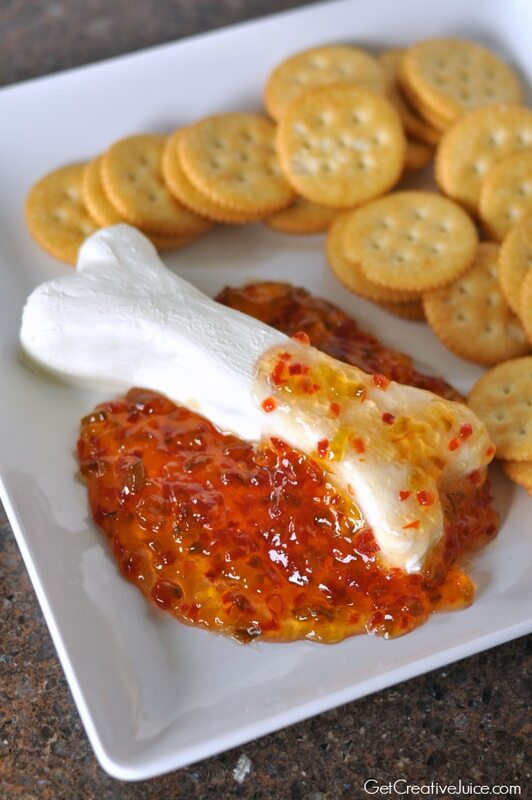 Need a super easy appetizer for your Halloween party? You can’t go wrong with this bloody bone. 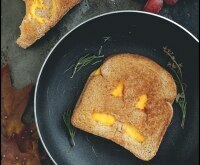 With two simple ingredients, you’ve got a delicious appetizer with a spooky vibe. 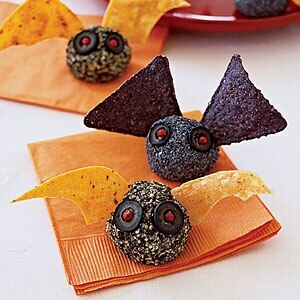 Balance out the Halloween sugar overload with these cheesy bat bites. You can even prepare them ahead of time and keep in the fridge until you’re ready to party. No Halloween party is complete without a graveyard scene. Dig into this totally indulgent chocolate cheesecake graveyard dip and get your kids involved in making this easy and fun treat! 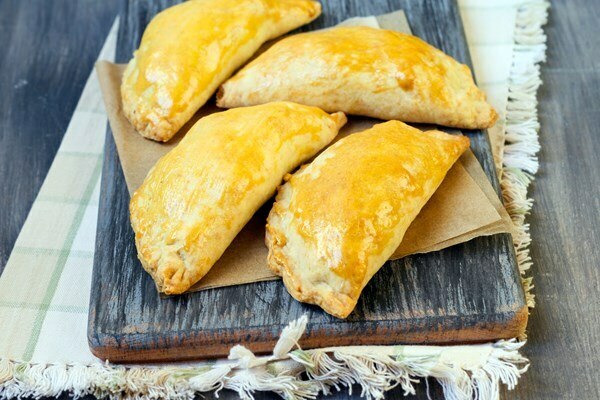 A spiced filling is wrapped into tiny little hand-pies with this fun and simple recipe for Mexican Pumpkin Empanadas. 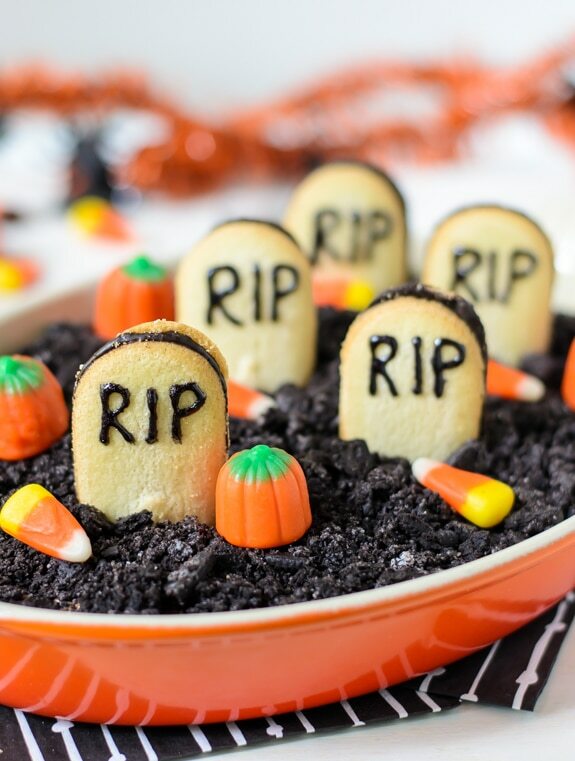 Ideal for guests who don’t like the “gross-out” factor often associated with Halloween eats, this one looks classy and tastes delicious!